Provide comfort for the family of Herbert Clevenger with a meaningful gesture of sympathy. 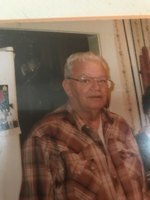 Herbert Lindsey Clevenger, age 76 of Milan, MO, passed away Sunday, March 24, 2019 in Milan, MO. He was born November 4, 1942 the son of Recil Charles Clevenger and Mary June (Glidewell) Clevenger. Surviving his daughters; Jodi Danielson of Kirksville, MO, Mary Clevenger and husband Melvin Dixon of Milan, MO, and good friend Jerry Huddnall. He is preceded in death by his parents; wife, Mary Ilene Clevenger and siblings, Charles Clevenger, Helen McGinnis and Billie June Sayre. Herb grew up and spent most of his life in Sullivan county. After graduating Milan High School, he moved to Kansas City where he did various jobs and drove a truck. After returning back to Sullivan County he then owned the old Sinclair station. He is probably best known for the famous Herb burger that he would grill up and serve at Kozy Korner that he and his wife owned and operated for 37 years. Herb was a no non-sense ornery kind of guy that love to help and serve others. He loved flying with his friend Lonny and owned his own Sena 177 and also was an avid gun and knife collector. There will be not public services per Herb’s request and a private family interment will be held at the Oak Grove Cemetery in Milan, MO. To send flowers in memory of Herbert Lindsey "Herb" Clevenger, please visit our Heartfelt Sympathies Store. Provide comfort for the family of Herbert Lindsey "Herb" Clevenger by sending flowers. Jodi & Mary, I'm so sorry to hear of the Colonel's passing. I have many fond memories of him and your mom from Kozy Korner. He was one of a kind and will be truly missed by his many friends. So sorry to hear of Herbs passing. So many memories of him through the years, and yes...many involving his famous burger. Truly a great man, I will remember him with a smile. My condolences to Jodi and Mary...May God take your hand.